Tumbled leather uppers and stunning Tri-colour web detailing combine to create the Lerond: a casual, lace-up trainer with a subtly-embossed heel and box-fresh style. We offer free standard shipping on all orders over $150. All orders below $150 will be charged a $10 shipping fee. 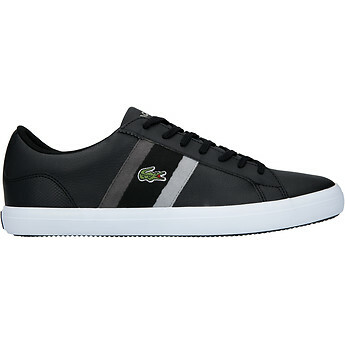 Additionally, Lacoste Australia offers a Free 30-day Return Policy within Australia on goods that have been purchased via this site that are unused and in a re-saleable condition. We value your opinion here at Lacoste and we’d love if you could take the time to review our product(s).